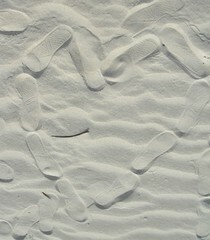 Every once in a while we do something totally out of character. Today it was going to buy pumpkins before the morning of Halloween. This is such an odd activity for us that Jason couldn't believe we could really get pumpkins early (hey, 3 days early!). 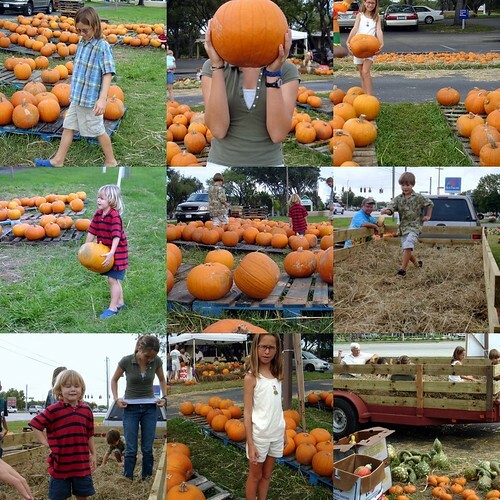 So the kids and I had our first visit to a "pumpkin patch"... at a local bank, on the side of a busy road. They had fun ... perhaps not as much fun as they normally have driving from store to store frantically looking for the last few saleable pumpkins ... but fun. The icing on the pumpkin patch cake was a hayride. The gentleman who rode in the back with them is an alligator trapper and he told trapping stories for most of the ride ... which, for most of the kids, was way more exciting than the hayride (which they thought was pretty cool too). 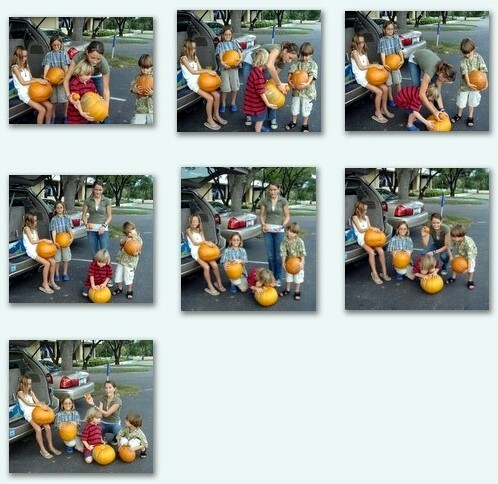 And then I came up with the hairbrained idea to have a group photo of the kids and their pumpkins of choice. As you can see, that was a bit challenging. Mostly K., who couldn't hold his pumpkin and then decided it was a drum. Really, with five of them, I don't hold out much hope of a good group picture, except at the photo studio (they work magic there, I swear), but it's always interesting trying. Now that I'm changing my ways and doing things ahead of time maybe I'll make the other four costumes and get the candy before the 31st. Doubt it though. Those group photos are just too funny! I can't imagine it with five...we have issues with just one. Can't wait to see the costumes.